The 2012 NSRA Quality Aircraft Care Sand Drag Racing Series continued on to Dome Valley Raceway in Wellton, AZ for Race 7 of the season. Lots of great competition happened on the track as the points battles come down to the wire in most classes. Click the link below to check out the recap & full point standings heading into Race 8. 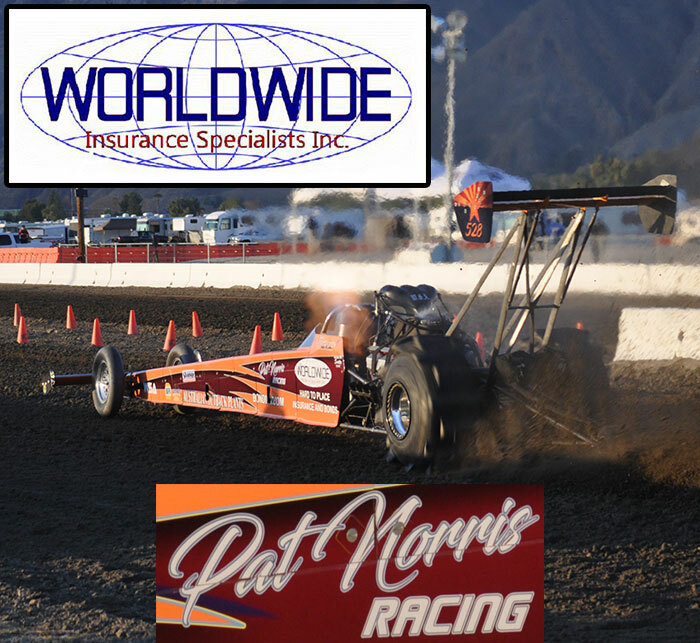 The next event, Race 8, will be the 2012 NSRA Series Season Finale and it will be held at the Soboba Casino in San Jacinto, CA on November 2-4. For more info on this event, go to www.SoCalSandDrags.com. For racers involved in the point series battle, the awards and plaques will be passed out at the 2013 Season Opener at Dome Valley Raceway in Wellton, AZ. Full details are to follow on this. The Southern California Sand Drag Association (SCSDA) is holding their final event of the 2012 season on November 2-4 at the Soboba Casino in San Jacinto, CA. This is also the Season Finale for the 2012 NSRA Quality Aircraft Care point series. Click "Read More" for full event info on this upcoming race. The 2012 October Showdown at Dome Valley Raceway completed on Sunday with some exceptional racing action. Dennis Rieck took home the Top Fuel victory defeating Marcus Norris, who was unable to fire on the starting line in the final round. Unfortunately, Dennis was unable to back up his 2.16 pass from Saturday night for a new Top Fuel record. Billy Morris did a great driving job to take the Top Eliminator victory as well as lock up the 2012 NSRA TE Championship. Craig Sines (Top Alcohol) and Aaron Mamer (Fast Fours) took decisive victories in their respective classes. George Amos took a huge victory in the Pro 2 class to virtually lock up the points championship in that class. Other winners on the day include Craig Durning (Pro 1), Donna Huff (Pro 3), Christian Payne (Motorcycle Pro 1), and Mark Ratliff (Motorcycle Pro 2). Run Sheets are now posted from this race. The 2012 NSRA Quality Aircraft Care Sand Times Drag Racing Series rolled on up to Avenal, CA for a mid-October event put on by the Avenal Sand Drags crew. Once again, this was a thrilling Central California event with the point’s battles tightening up heading into the final two events. Up next for the NSRA series is a trip to Dome Valley Raceway in Wellton, AZ for the October Showdown over the weekend of October 20-21. Click the link below to view the current points & info regarding the 2012 NSRA point series. Fast Track Racing is putting on an event on November 16-18 at a new location in Kingman, AZ. For more info on this event, call Ken Larson at 928-587-9385. Click “Read More” to view the event flyer. The 2012 Mid-America Sand Drag Series wrapped up recently with the “Fall Fest” at Atoka Motorsports Park in Atoka, OK. Congratulations go out to series champions Jeff Sieg (Top Eliminator), John Acker (Pro 1 Cars), and Luke Martin (Pro ATV). Click the link below for a full series wrap up. Fall Fest 2012 at Atoka Motorsports Park in Atoka, OK served as a great season ending event for racers in the Mid-America Sand Drag Series with the points battles going down to the very end. In the Top Eliminator class, Jeff Sieg not only won the final round over Dee Trower, but he also took the 2012 MASD TE championship trophy back to Missouri. In the Pro 1 Cars class, John Acker clinched the championship, but could not complete the full season sweep as Glenn Swanner defeated him in the semi-final route en route to his first sand drag class win. The Pro 1 Quads championship battle came down to the semi-final round where Mollie Eades lost a close battle, which clinched the championship for Texas racer Luke Martin. Unfortunately for Luke, he would fall the eventual class winner Randy Kimbley in the semi-final round. Kimbley went crazy as he completed a rare feat as he won three ATV classes on the night as he took the Pro 1, 2, and 3 Quads classes. Note: Run Sheets are now posted. DomeValleyRaceway (DVRW) has completed several safety upgrades over the past few months. Ernesto and the crew at DVRW have spent countless hours along with a substantial amount of money upgrading to meet new insurance requirements. This should make DVRW an even safer facility moving into the future. Contrary to the rumor mill, Dome Valley Raceway WILL be holding the October Showdown on Oct 20-21. Everything is a go. The DVRW race staff thanks everyone for their support, and is looking forward to working with our great group of racers at this event. The info for the race hotel was inadvertently left off of the earlier newsletter. Microtel of Wellton is still our Host Hotel for this event. Reservations can be made at 928.785.3777. PTN Championship Weekend 2012 came to a thrilling conclusion on Saturday night. The 2012 PTN Pro Truck Championship came down to a 3-way Race Off forced when Jeff Banks took his first PTN Pro Truck class victory over Buddy Hammett. The race off came down to Kyle Harney, Rodney Upchurch, and Banks. Harney would take a double breakout decision over Banks to start things off, 4.19 to 4.16, both on a 4.20 Index. Next was the championship final round, and Harney would prevail in another double breakout battle 4.14 to 4.11, both Indexed at 4.20. Kyle Harney is the 2012 PTN Pro Truck Champion with his "Hayshaker" Jeep. In other action, Brian McWethy thrilled the Little Sandy crowd on his way to the Pro Outlaw win in "The Boss" Funny Jeep running a best of 2.33@104MPH in the 200' distance for that class. Other winners on the night included Buddy Hammett, who defeated Brian Harrison in the Pro 1 Cars Final, and Matt Randolph, who won the Sportsman Cars class over John Schultz. Please bear with us over the next day or so, and we will have full results, video, photos, etc. from this great event. The 2012 NSRA Quality Aircraft Care Sand Times Drag Racing Series continued on with the "Remember September" event presented by the Southern California Sand Drag Association (SCSDA) at the Soboba Casino in San Jacinto, CA on September 28-30. The racing action was stellar all weekend long as the points races took shape heading into the last three events of the season. Up next for the NSRA tour is a trip to Avenal Sand Drags in Avenal, CA on October 13-14. Click the link below to view the current points & info regarding the 2012 NSRA point series. Avenal Sand Drags in Avenal, CA is getting ready for their upcoming event on October 13-14. This race will also be the 6th of 8 NSRA point series events on the 2012 season. Avenal will run all classes from Top Fuel through Juniors. For more info, go to Avenal Sand Drags’ new site at www.AvenalSandDrags.com or click on the Weekend Race Schedule link below.